Since 1980 Icehouse has released seven albums, several compilations, and music from collaborations with other artists including dance companies. The 1987 album Man of Colours was released at the apex of their fame and international success. Man of Colours is considered by many to be the band's magnum opus. As Flowers, Icehouse built up a strong following as a live act around Sydney, Australia, noted for their distinctive cover versions of songs by a wide range of acts including T-Rex and Brian Eno. After signing to the independent Regular Festival Records label, they released their debut single, "Can't Help Myself", which hit the Australian Top 10 in June 1980. This was followed by their first album Icehouse, which also made the Top 10 and became one of year's biggest selling albums in Australia. The album made use of synthesisers, especially the Sequential Circuits Prophet 5. Further singles "We Can Get Together" and "Walls" both hit the Top 20. A European single from this album, "Icehouse", created some interest in the U.K., partly because of a memorable video. Sensing the possibility of international success, the band decided to change their name in early 1981 to avoid confusion with Scottish group The Flowers. As Icehouse, they spent most of 1981 touring the UK, Canada and US, where "We Can Get Together" hit #62. A single release, "Love in Motion", recorded by Davies alone but the first to be credited to the band's new name, duly hit the Australian Top 10 in November 1981. 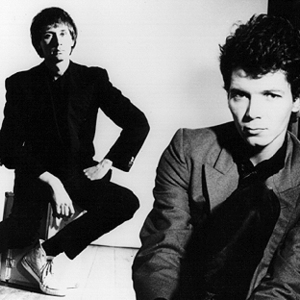 In January 1982, the band's original line up split, resulting in Davies recording Icehouse's much-anticipated second album, Primitive Man, on his own, with assistance from Keith Forsey, who later worked with Simple Minds. Released in August 1982, Primitive Man was another huge Australian hit and became Icehouse's international breakthrough. The hit single "Hey Little Girl" reached the UK Top 20 and has remained their most regularly played song. Another strong track from this album was "Great Southern Land", which made the Australian Top 5 and was later featured in the late 1980s film Young Einstein. In 1985 Davies' musical standing was further enhanced when he was commissioned to compose and record the score for the acclaimed Sydney Dance Company production of Graeme Murphy's dance work Boxes. Icehouse's third album, Sidewalk, was far more sombre and reflective, featuring the tracks "I Don't Believe Anymore" and "Someone Like You". After this album the band made further inroads into the U.S. market with their 1986 release Measure for Measure which featured none other than Brian Eno as a listed band member. The next album, Man of Colours, was their best-selling album. It contained the hit singles "Crazy" and "Electric Blue" (a song co-written by John Oates from the band Hall and Oates). Both singles reached the US Top 20, with "Electric Blue" hitting #7. With this album, the band reached an international zenith, never surpassing this level of popularity and exposure again. In 1995, Davies was again involved with the Sydney Dance Company's production of Berlin. The musical score is a collection of cover versions of songs by David Bowie, Brian Eno, Simple Minds, The Psychedelic Furs, Frank Sinatra, Lou Reed, Roxy Music, XTC, Talking Heads, The Velvet Underground, PiL, The Cure and Killing Joke, which saw him collaborating with pianist Max Lambert in the development of the music. As well as recording the score to the ballet, Davies performed these songs live with Icehouse at each show. He was an intrinsic part of the ballet, in a role similar to the one in Boxes. Iva was extremely successful in creating a translation from the dancers to the audience. Berlin was an instant success and ran for two seasons. Both shows were the most commercially successful that The Sydney Dance Company have had to date. On the 16 August 2006, Icehouse were inducted into the ARIA Hall of Fame along side acts such as Midnight Oil, Divinyls and Rose Tattoo.